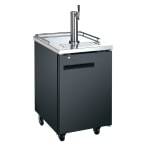 The eQuipped VUBD1 draft beer system is perfect for your bar or catering service. A single tap tower on the top of the unit has a stainless steel drip tray to collect messes. The unit holds one half-barrel keg, (30) 6-packs of 12-ounce cans, or (42) 6-packs of 12-ounce bottles. 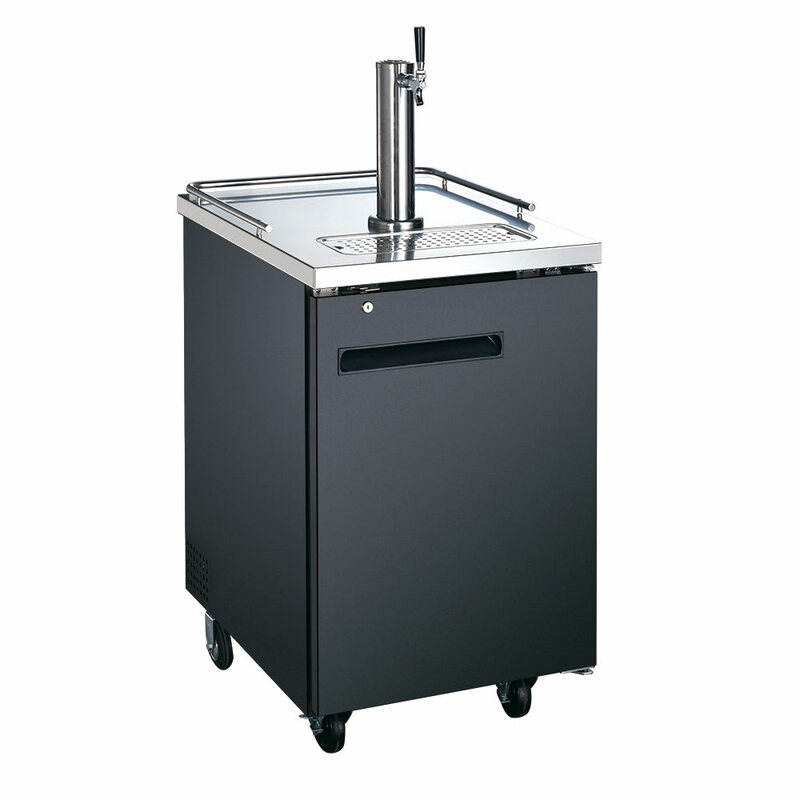 Cold air is circulated through the 3-inch-in-diameter, insulated, stainless steel beer columns to reduce foaming and keep each drop of beer consistently cold. Your drinks will stay chilled within a temperature range of 33 to 38 degrees Fahrenheit that is maintained by R134A refrigerant. The black vinyl front and sides and an aluminum back make the entire unit durable for commercial use. The countertop is made from stainless steel, making it easy to clean. The interior is also made from stainless steel, a material that makes the equipment perfect for heavy-duty use. 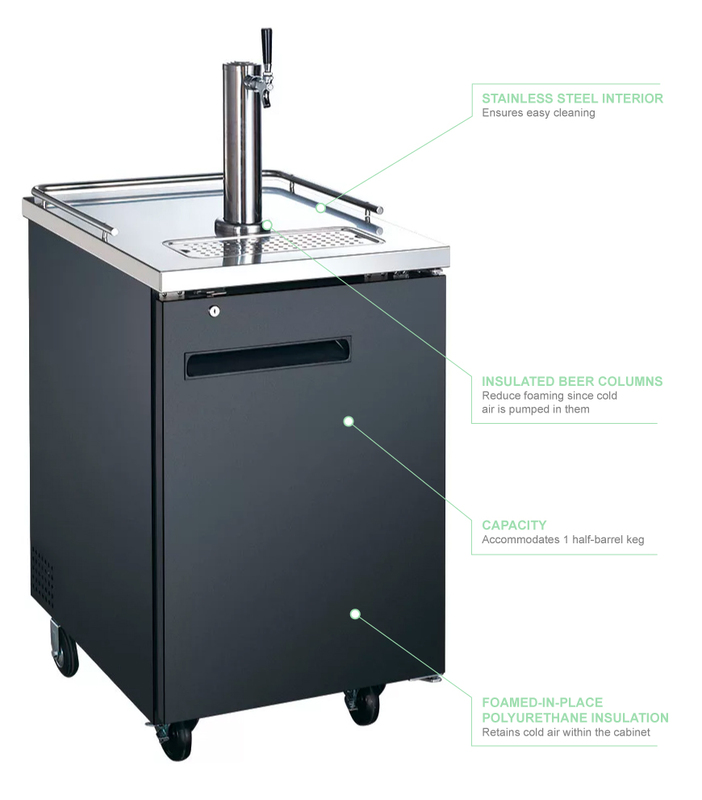 Cold air stays in the eQuipped VUBD1 draft beer system since the entire cabinet is insulated with foamed-in-place polyurethane. To help prevent unauthorized access, the black-vinyl door with a 12-inch-long handle comes with a lock.